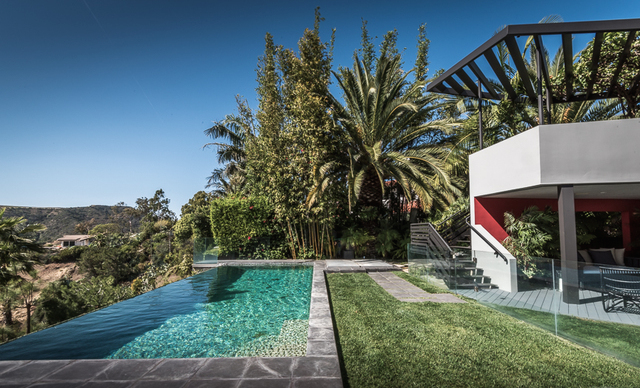 Trent Reznor, known as the musical genius behind Nine Inch Nails and as an Oscar-winning composer for films like The Social Network, has just listed his Beverly Hills home for $4.495 million. Apple’s newest employee is saying goodbye to this $4.495 million Zen retreat. Seeing as he just took a gig to relaunch Apple’s Beats Music Service, is it possible he’s ditching the surgically enhanced beauties of Los Angeles for the nerd herd of Silicon Valley? 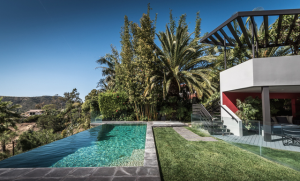 The five-bed, four-bath spread that Reznor just put on the market is a Mid-Century architectural beauty with views of the city from the highly coveted 90210 ZIP code. Reznor, who turned 50 last year, purchased the stylish pad back in 2007 for $4.1875 million. 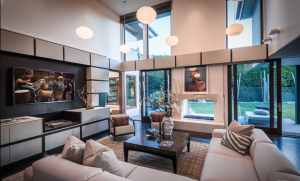 First built in 1966 and measuring over 4,300 square feet, the open-air-style home features exotic and custom modern finishes that complement that sleek Modern design. French pocket doors in the oversized kitchen open onto a dining patio with gorgeous views of the bright lights of LA and its dramatic canyons. A spacious lawn would be appealing to prospective buyers with growing families (Trent himself has two sons), as would the privacy afforded by the gate surrounding the home. 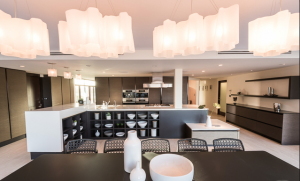 In the home’s master suite, an illuminated stone wall and spa-like bath offer luxurious amenities, while a private balcony allows residents to check out those classic views. 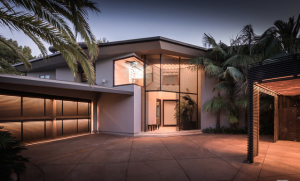 In addition to the master suite, the home has four additional bedrooms, as well as dark wood floors, an infinity-edge pool, and, seeing as this is Trent Reznor’s home, a garage that’s been fully converted to a soundproof media studio.